Metal detecting in Alabama, or any treasure hunting that you may do in that State. or in any other State can land you in a heap of trouble, that is unless you know the law. 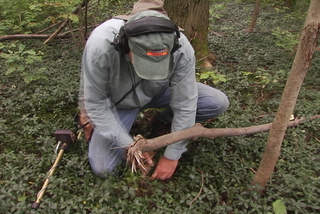 Most of the problems occur when individuals go onto state or federal lands to metal detect. There is one specific law regarding those lands that you must pay attention to. For a more detailed explanation about what kind of trouble I’m talking about, please visit my page here. Below is a copy of the Alabama laws. The Alabama laws follow the laws of ARPA. Reservation of exclusive right and privilege of state to explore, excavate or survey aboriginal mounds, earthworks, burial sites, etc. ; state ownership of objects found or located therein declared. The State of Alabama reserves to itself the exclusive right and privilege of exploring, excavating or surveying, through its authorized officers, agents or employees, all aboriginal mounds and other antiquities, earthworks, ancient or historical forts and burial sites within the State of Alabama, subject to the rights of the owner of the land upon which such antiquities are situated, for agricultural, domestic or industrial purposes, and the ownership of the state is hereby expressly declared in any and all objects whatsoever which may be found or located therein. Metal Detecting In Alabama? If You Are Going To Dig, Follow The Law. Nonresidents not to explore or excavate remains or carry away, etc., from state objects discovered therein, etc. No person not a resident of the State of Alabama, either by himself personally or through any agent or employee or anyone else acting for such person, shall explore or excavate any of the remains described in Section 41-3-1 or carry or send away from the state any objects which may be discovered therein or which may be taken therefrom or found in the vicinity thereof. Explorations or excavations of remains not to be done without consent of owner of land and not to injure crops, houses, etc., thereon. No explorations or excavations shall be made in any of such remains without the consent of the owner of the land first had and obtained and unless such work is done in such way as not to injure any crops, houses or improvements on the land adjacent to or forming a part of such remains. Explorations or excavations not to destroy, deface, etc., remains; restoration of remains after explorations or excavations. No explorations or excavations shall be made which will destroy, deface or permanently injure such remains; and, after any such explorations or excavations, they shall be restored to the same or like condition as before such explorations or excavations were made. Metal Detecting in Alabama, or any treasure hunting can get you arrested. Disposition of objects taken from remains. No objects taken from such remains shall be sold or disposed of out of the state, but when removed therefrom the objects so gathered shall be retained in state custody and either placed in the collection of the Department of Archives and History or in the museums or in the libraries of the educational or other institutions of the state or they may be exchanged for similar or other objects from other states, museums, libraries or individuals. Exploration or excavation of aboriginal mounds, earthworks, etc., contrary to law. Any person who shall explore or excavate any of the aboriginal mounds, earthworks or other antiquities of this state contrary to the laws of this state shall be guilty of a misdemeanor and, upon conviction, shall be fined not more than $1,000.00 for each offense. I cannot be responsible for any outdated laws from the time of this posting. 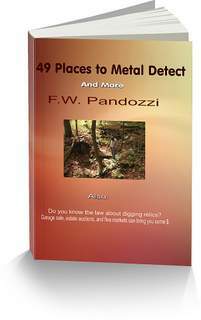 Know the laws before metal detecting in Alabama. Have you tried metal detecting in Alabama ghost towns?